With the temperature finally cooling down in Southern Arizona, the last weekend in October is a great time to get outside and enjoy the weather. While we don’t have the same colorful fall foliage as other parts of the country. We do have great pumpkin patch and farm festivals to help inspire our fall spirit! 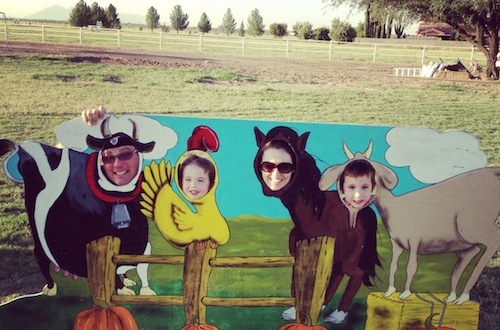 The Marana Pumpkin Patch & Farm Festival, just north of Tucson includes lots of family fun in the price of admission. From jumping air pillows, corn mazes, pig races, and a large kids play area, there’s plenty to do beyond just picking out the perfect pumpkin in their pumpkin patch. 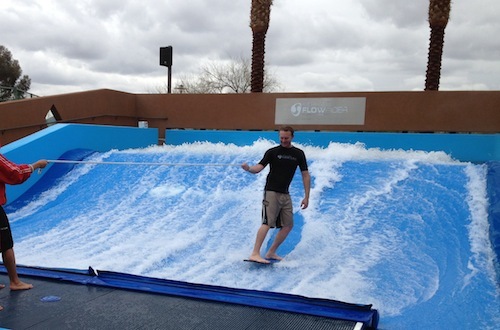 There are a few activities available at an additional charge including a train ride and zip line. My boys loved shooting the pumpkin cannon the best. The Marana Pumpkin Patch and Farm Festival is open daily through October 31st. 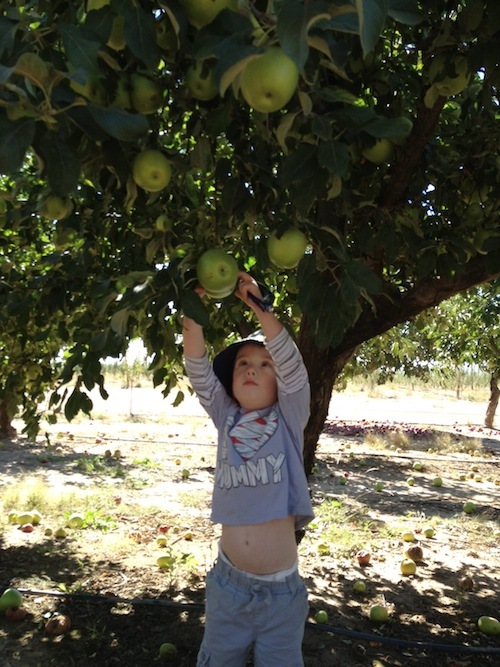 Families in Southern Arizona have been picking apples at Apple Annie’s in Wilcox since the 1980’s. Apple Annie’s offers a variety of you-pick produce during the fall months from apples and pears to green beans and squash. They also offer hayrides to their 40 acre pumpkin patch. You definitely work up an appetite while picking apples and vegetables, luckily you can enjoy hot apple cider donuts for breakfast and apple smoked burgers for lunch. Apple Annie’s is open daily through October 31st. 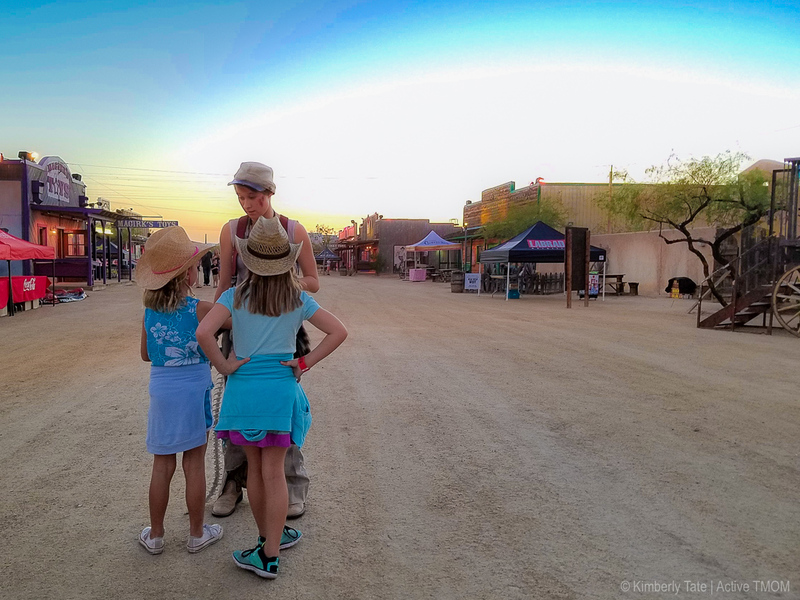 In addition to the usual suspects at a pumpkin festival (kids corn maze, tractor rides and petting zoo), Agua Linda Farms shows family friendly movies on Friday and Saturday Nights. The outdoor movie is included in the price of admission. Agua Linda Farms is located south of Tucson and their fall festival is open Friday, Saturday and Sundays in October. Head to Buckelew Farm to pick a pumpkin or get lost in their corn maze. Bring a flashlight and you can explore the corn maze until midnight on Fridays and Saturdays. If a dark corn field is not spooky enough, you can head into the haunted corn maze section. The haunted corn maze is not for faint of heart and is definitely scarier than a haunted house. Buckelew Farm Pumpkin Festival & Corn Maze is open Friday, Saturday and Sundays in October. Speaking of scary things this Halloween, there are several haunted hotels in Arizona that would make an awesomely spooky adventure.